-----So how do you come up with your own unique designs? always try to make it the nicer for your self, if you like it , i mean really like it more people will like it too!!! ---------How do you stop copying other peoples ideas and create your own? nice question,i will just talk about how to create you own, to stop copying its a personal chance and not always good idea, some how to let that clear i will say i love when people copy my designs if they do in they work, if they do in the net i like to be mention but even when its not like that i fell honored to see my design its been choose by some one as a nice thing so somehow i am helping that person and the people that looks and enjoy the balloon and you know , money its not all in life!!! how to create, if we compare it with music its easier to understand i think, to play an instrument first you need to learn the notes, then the scales , then the rhythms and once you have those things you start playing the classics... i mean Happy birth day to you, and some other classics that let us use the knowledge we got and to practice the scales and rhythm in a song that its already made , so more or less we copy the song played in the begging bad but with some time of try we master the piece and we can play decently 1 song so we can change to next one and next one ... each song will be easier to learn because your scales and rhythm its been perfected and there are many many great songs you can play form other people but there its one day that you start to express your self with the techniques you earned playing other people songs and that day you make your own song, a song that talks about your experiences and maybe its not a great one but its yours and that first song will take you to others and by practice again on the process of expressing your self in a song you will get a great song maker, well with balloons some how its the same way, to be able to create you need to know the techniques and the behavior of the balloons and the best way to do that its to make figures that are out there and not been your own designs they are good ones and helps to amaze your audience but at same time to improve your skills, one day and other and other until you have a back up of techniques and torsions that you control perfectly, then you can play and create you own designs and any thing can be done with balloons. ----------Whats the best sculpture you have ever made? hum that its a beat difficult to answer, first of all i am not a big fan of the factor "best" some how i thing the best thing can be just really bad one in the wrong place, i hope you understand but if i have to answer i will let clear that some really nice ones that i do they aren't my designs so i will focus on mine,i am really proud of the butterfly in the mirror and the all mirror concept, i am also really happy with the vespa, but if i have to chose just the one i like the most to do and give away its the Altea Rose, every time i give it away i get a huge reaction its a flower but at same time its a strong symbol for people around the world. ----------Who do you think has inspired your work the most. hey lots of people have to be in the list but starting from the people i learned from in my first balloon meeting all of them. 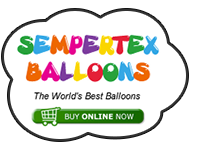 Do you have a favourite colour, size or shape of balloon to use? Do you have a 'set list' of models or are you willing to take on the limitations of your clients mind? 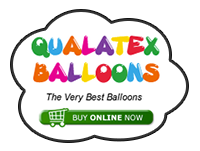 -----Do you have a favourite colour, size or shape of balloon to use? its endless so to choose one lets say White , yes i do love the elegant look of the white figures. -----Do you have a 'set list' of models or are you willing to take on the limitations of your clients mind? some how i love the challenge and i normally manage to make what they ask from me. i do that because the gun i make its realistic one so its great for adults but the kids like to play with it and mine its so so realistic that i don´t want the kids to get arrested by the police... most important i like the people to see the balloons and admire what i can do so the bigger the balloon if its nice one the better, that Tommy gun made with black and moka brown its great Thanks to Royal!!! -----------9, What is the most asked for model? ----------10, What do you tend to do more of if stuck in the 'balloon production line' model? I don't have the feeling of getting stuck in the "balloon production line" or at least I don't remember that feeling I guess I had it in the past and somehow I think if that happened, it's because the timing of the performance is not right, in my opinion time is not important, Rhythm its the key, so keeping an acquired rhythm will avoid that stuck-feeling. To find the appropriate rhythm for each situation I think there is no other way than to experiment and be aware of what happens around you while you perform, if there is a figure that helps to get out of lots of kids in my opinion it's definitely the poodle, it has a little air so little time to inflate, there are many many jokes about the final figure, so dogs for everyone if there is a big hurry time. ---------------11, Who is your market aimed at? To be honest I have not aimed my market yet, as a market man I am not too good, I try to teach balloons to people around the globe in congresses, I do decorations, I do deliveries of twisted pieces, I try to make some instructional material for the twisters, if you look for commercial advise do not contact me, I am not the guy for that, but I do street ballooning which makes me so happy and I will try to keep doing it for ever!!!! In summer definitely Street Ballooning, I really love the contact with the audience on the same level as me, I mean no stage or high surface that makes a big difference between the performer and the audience. --------------13, What is your favourite/ideal gig to do? ---------------14, What irritates you most at a gig? ---------------15, How do you book yourself? I am a really good friend of myself so normally I don't pay for my own booking... but sometimes when I am not in a good mood I charge even myself for doing balloons... Maybe I got the question wrong, if you mean how can I sell myself, with balloons it's much easer than with magic, with balloons the pictures talk by themselves and take lots of bad competence away, when the client wants what they can see in the pictures then they book me, so my portfolio its the way to open works. Hi Antonio, thanks for the detailed answers to the forum members questions, it's very much appreciated. I have pictures of us at Twist and Shout in the Ice Cream Parlour on a warm and sunny day and you in the Top Hat. thanks to you for making this forum work so well!!! he he i like you notice the hat.... it comes from a 13 years ago. so with the top hat its clearly a fun thing with out it i might look as a psycho..
as you know now i am from a small village and i like to be recognize, i don´t mean fame, i just mean i like people and i like people that remembers me, some how makes for me a nicer world around me. and yes this its just because the hat... i know it might sound strange but i really love the way people react to the hat. they have a room full of different hats for ladies and one for gentleman i saw them bout and its amazing... really a great place. i have a smaller top hat for the close up magic that i only use for the performances to keep it more nice!!! dear Graham i take my hat of for this great forum!!! -----------------16, What’s the biggest thing you’ve ever made? --------------17, What has been your proudest achievement in our wonderful world of twisted latex? For sure "The Pinch-Line Technique" I am really happy to have developed a technique that is opening new doors to balloon artists to develop their talent and to make things possible that weren't possible before, I am sorry but I have to add here the small heart that I make from 160, 260 or 350 (what I call the twisted heart), this idea comes from the inspiration of a great artist, Sean Rooney from Canada and an amazing brain in this latex world, Thanks Sean!!! Thanks to all the people that find interesting and use "The Pinch-line" and to Balloon Magic for the great feeling, by the way, this interview also makes me feel so nice, thanks Balloon Chat too. -------------18, What advice would you give to someone starting out, or wanting to increase their business? I hope I can keep this amazing way of living from the balloons and the audience, somehow the more I know about this life enterprise, the more I see that it's not easy to have a normal life, I hope I can win some more prizes in future competitions that I participate in and really hope to travel to many countries and share my balloon knowledge there, I love teaching people to do what makes me so happy. --------20, What is your personal goal when you set off to work? Is it money or to entertain etc? ---------21, What are your balloon goals for the future? Keep twisting and designing nice balloon sculptures, keep sharing and teaching around the globe, work on big scale balloon decors, and unfortunately pay all the bills, sometimes in this industry it's hard to charge money because some great artist will work just for the fun and that makes an unfair competition with colleagues, I really think more artists will manage to live from the art they make with balloons, if no one worked for free. All of us have bills and life expenses so to charge money for your work is for me a sign of respect for the other artists. --------22, If you could start all over again, would you change anything? --------23, How would you like the future of balloon modelling to develop? I like the people that get the old ideas and change them into new things, mainly I would love to see that the respect for creators will be bigger, nowadays I see lots of copies done with no crediting and just seeking for the easy clap, but this behaviour will make that the people that are really amazing artists, will keep their ideas and designs to themselves. It's understandable if the only thing they get back is people taking profit from the creativity and effort with no payback. I would really love the respect for the creative people to be bigger in the future, unfortunately things don't look that way now, let's see if we help to change that. -------24, Who's the most famous person you have made a balloon creation for? The "famous factor" depends a lot on the surrounding, I have made balloons for really famous people from small villages, I did twist for kids in the dessert and they became the most famous ones in their area for years after, but here in Spain I did some balloons for famous people, from the TV, they passed by my spot in Altea and got some balloons from me, but honestly I love the "unknown famous" people to make happy. The improvement of my designs and the use and discovery of new techniques, also can not forget the feelings I give to the people that see my performance, I love them all and I really work hard so they have a great experience. I think this has been a great interview and I've really enjoyed ready the answers and trying to get into Antonio's mind, thanks for taking the time out Antonio, it is appreciated. To PLAY, I play with balloons every day sometimes just making the things I already know but sometimes just for the fun of play, lots of things come from "just playing" time, in my opinion the mental state that you get when you play, makes you more creative than if you are in a working mentality, when you work, your goal is to get paid and that is great as I said before, we all need that money, but if you only work and don't play with balloons, its really difficult to improve. Let's PLAY! -------27, Who would you like to work with dead or alive? I have the luck to have already worked with some of the people I admire but really I would have loved to have the chance to meet David Grist, he was already twisting balloons in heaven before I knew he existed so... same as with the amazing Arturo de Ascanio (Spanish magic prodigious mind) those two, I really miss the chance to shake their hands. --------28, What makes you laugh? Phew, many things as many things make me cry, I think I am too sensitive, I enjoy the fun of life but I also suffer the pain and this is the unique way I have to live my life with a full scale of emotions that make me feel alive and I tell you, the happier you can get, the sadder you can get too, I mean, if you stay in the safe zone where there is no full happiness, you will not be fully sad either but we are here to live and living is an experience of contrasts and emotions, as my well loved friend Pantano said to me one really sad time: Antonio you need the rain for getting the flowers, just sun will not make a nice garden, it's really nice the sun, but be happy to have some rain sometimes because it will make your flowers nicer, I hope this fable is understandable for the readers, try to get as much sun as you can in your live but don't worry if it's raining time, just remember it will make the flowers nicer after the rain. I was looking through all my picture folders tonight and found this with the small ice cream from the USA trip with Antonio and Pascal. Thanks Antonio for being our guest Star, and for sharing with us!